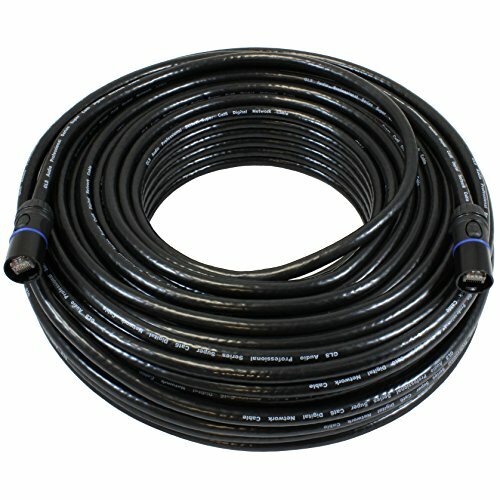 We are pleased to announce the new GLS Audio G-Shell G45 Cat6 digital network snake cables. They are 100% compatible with the Neutrik Ethercon RJ45 connectors and jacks. You'll notice the G-Shell G45 connector shell can be easily removed from the RJ45 plug. This is done with a simple twist of the shell. No more cutting the Ethercon end off when you need a normal RJ45 plug. The G-Shell G45 has you covered! The ground has been lifted at one end to prevent unwanted noise and hum (required by some electronics which don't use a common ground). The GLS Audio G-Shell cables are designed with touring in mind. They are heavy duty with internal OFC "Twisted Pitch Controlled Spacing". The TPCS design will keep your cables working perfect with no data loss. As you are probably aware, standard Cat5e and Cat6 cable is not designed to be connected and unconnected over and over. Standard Cat5e and Cat6 will break down internally and stop working. The GLS Audio G-Shell cables with TPCS have solved this problem. Designed specifically for Touring, Staging, Professional Sound, Night Clubs, Concert Venues, Studios, and more. They are built for ease of use and built to last!